Today’s giveaway is from St. Jude’s Creations. It is for these three lovely clay hair flowers pictured above. Aren’t they just gorgeous?????? They are hand formed, no cutters are used to make them. Maria is the artist who created those flowers. She is the owner of St. Jude’s Creations, which is an online store that features paper and clay flowers for all occasions; most often her flowers are bought for weddings. Maria learned the art of making paper flowers from her mother and has since designed hundreds of different flowers and her business has thrived. Her flowers have been seen in movies and on various magazines and web sites. Her clients include leading florists and event planners in LA and NY. She currently resides in Avon, CT. 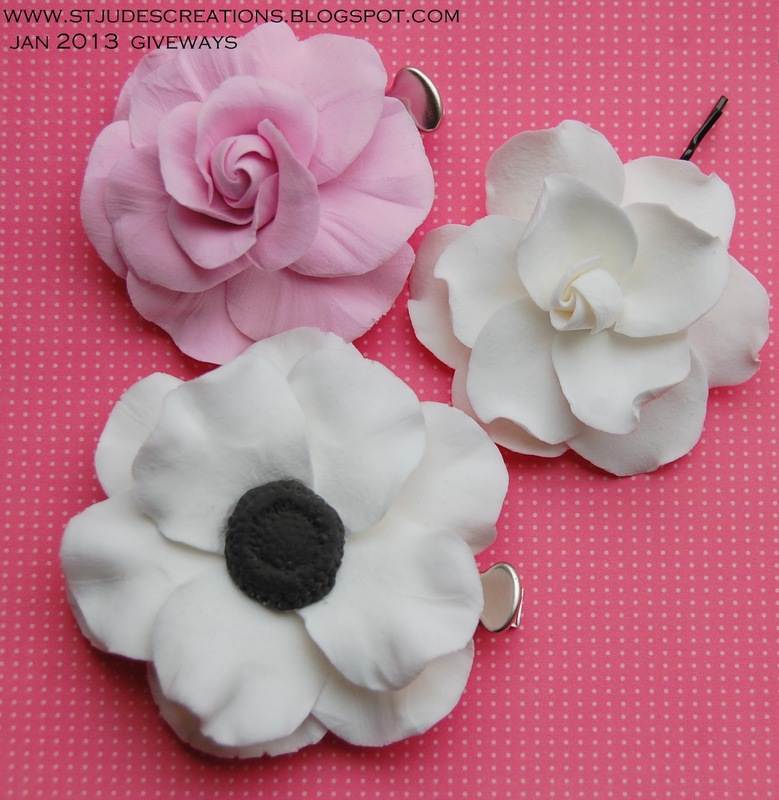 These hair clips would be so lovely everyday or for a more formal event like a wedding or prom! -There will be one winner. 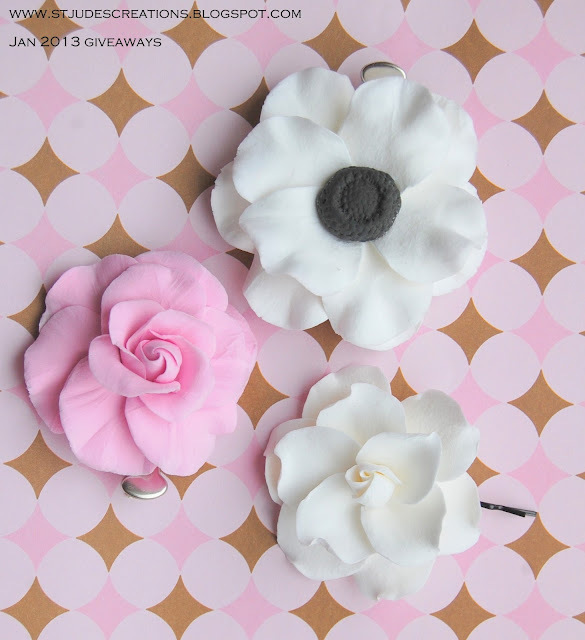 Winner will receive the three clay flower hair clips as pictured above. -Winner will be chosen randomly. You must like St. Jude’s Creations on Facebook and leave a comment here stating that you do. *Please make sure to leave email address if it is not available on your profile. You can leave it as “email at yahoo (dot) com” to avoid spammers. If you are chosen and there is no way to contact you, another winner will be chosen. 1. Follow SJC blog via GFC and leave a comment saying you do. 2. Follow SJC on twitter and leave a comment saying you do. 3. Subscribe to SJC mailing list and leave a comment saying you do. 4. Follow SJC on pinterest and leave a comment saying you do. Please leave a separate comment for each entry. Giveaway is open until January 16, 2013. Following SJC blog – Just Lovely Flowers! I’m also following SJC on Pinterest! Beautiful flowers! She is very talented. I now follow her on Facebook. Christine Cramer Herbert. 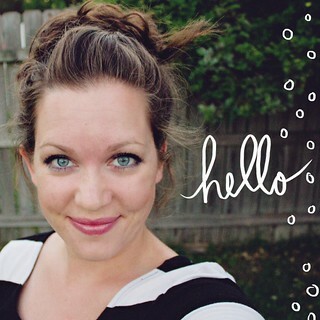 I joined SJC google feed groupto follow her blog. I FOLLOW SJC ON PINTEREST! Also I signed up fpr SJC emails. Thanks for making this giveaway possible!